120 Volt – 1500 watt/ 5000 BTU heater. 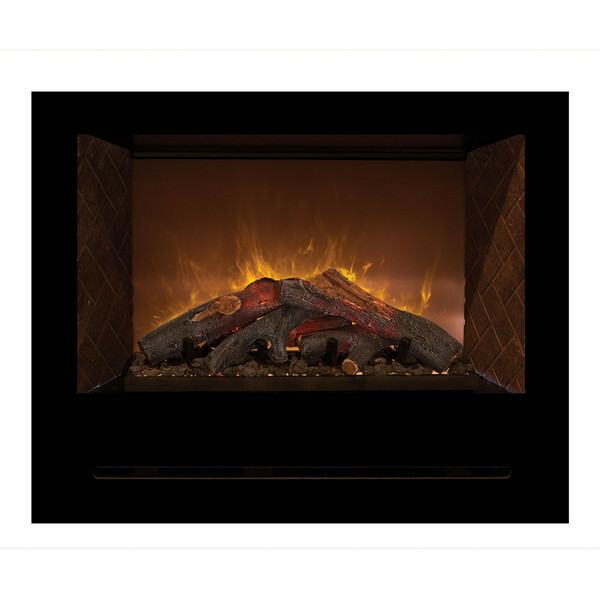 The HF36CBI electric fireplace features an unsurpassed realistic flame pattern. Low energy LED flame technology, and touch screen technology make this fireplace modern, yet the availability of both a Canyon Juniper log set and Red Herringbone or Straight Brick side panels give you the option for a more traditional feel. Flame operates with or without heat.